Classes are moving online. That includes classes for technical, manual skills. But while virtual learning can give you some of the basics, it’s no replacement for hands-on learning. Here are five reasons why you should tackle appliances in-person to learn the trade. Every job has a learning curve. When you’re just starting out, each step is slow and deliberate. You need to double-check your work, and there are a lot of unfamiliar parts. This is especially true for manual movements and technical tasks which require precise order. As you become more and more familiar with every task in the general field of appliance repair, you’ll get faster. If your business handles dishwashers, you’re going to be disconnecting pumps and uninstalling machines often. If you work with small appliances, every job requires quick, precise work in narrow confines. Instead of learning on the job, develop smooth, fast procedures so you’re a pro on the first day. 2. Learn what tools are a good fit. Virtual training and instruction manuals can tell you what tool to use when. But they can’t account for all circumstances. General flathead screwdrivers might when you’re dismantling ovens, but they aren’t a good fit in the lower casing of a dishwasher. Learning what tools to use in different circumstances cuts down on wasted time. It also means you don’t have to waste money on tools that you don’t need or show up at your first job with tools that don’t work well enough. But you also need tools that fit you, not just the appliances. If you’re left-handed, some spots are going to be harder or easier to reach than others. You might need tools with longer handles or which have magnifying lenses or lights. Hands-on training gives you the opportunity to prepare. 3. Develop muscle memory so you can multi-task. Very few jobs will give you the opportunity to work on one thing at a time. As you’re uninstalling an appliance, you also need to be checking for signs of a leak. The customer might be giving you more details about the problem as you remove the oven door. If you’re too focused on one thing, even if it’s your primary focus, you miss out on small details. 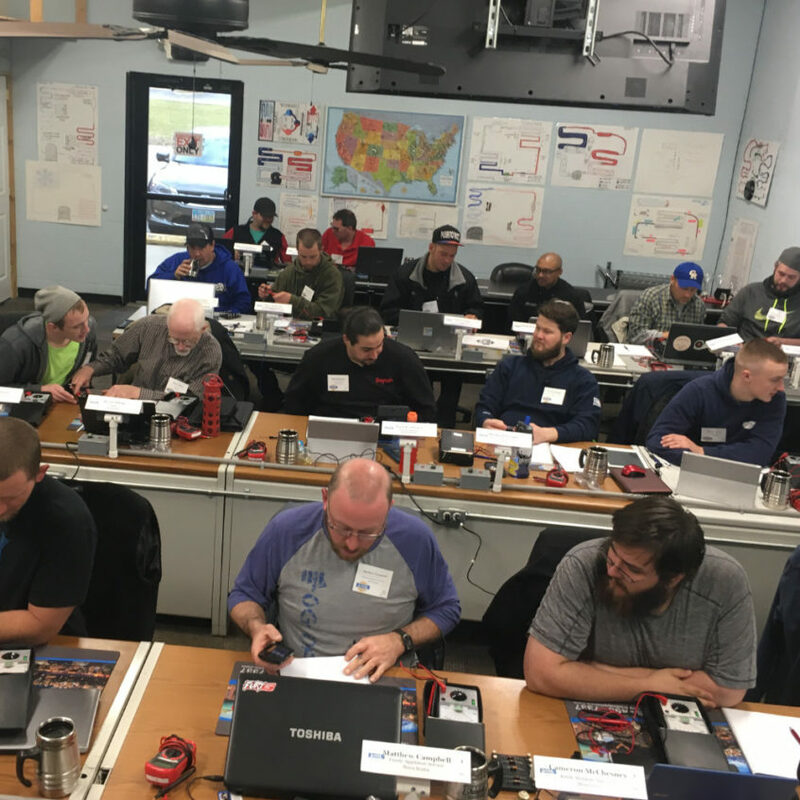 Hands-on training makes the basics of appliance repair second nature so you can actively listen to customers or start troubleshooting. Muscle memory also makes it much less likely you’ll forget crucial intermediary steps as you’re reinstalling a repaired appliance and turning the water or gas back on. 4. Ask questions before your first job. The first time you take apart a major appliance, you’re going to have a few questions about what you find. It could be that you find a part that isn’t adequately described in the specs. Maybe a nut won’t come loose and there’s a trick to removing it. No matter how thorough a video or virtual simulation is, there are questions that you’ll have the first time you work on an appliance. So ask them while you have an expert teacher, not while you’re on the clock. 5. See how the parts interconnect. When you remove the lower access cover on a dishwasher, the inside isn’t organized. It looks like a mash of electrical wires, motors, and hoses, and you need to know how to navigate it. A video can zoom in on just the part you need to think about during each step, and that doesn’t give you context. Hands-on training with real appliances gives you a better mental picture of how each appliance’s wiring and hoses fit together. Go to Fred’s Appliance Academy for hands-on training that makes you a professional on day one. Our classes focus on a wide range of major appliances and the technical skills to get your business started.